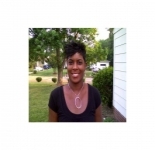 Tonita Wright is currently living in Charlotte, North Carolina, working as a Network Marketer in "Unicity "Slim"" and is interested in For the Home, Health & Beauty, Home Based Biz, Work from Home. Interested in network marketing and introducing people to an all natural product for weight loss..."Slim". Not only is Slim for weight loss but also great for people who are diabetic. Even if you need to lower your blood pressure or have high cholesterol; Slim will change your life. All natural products and supplements. It's a powder pack that you mix with an 8 oz. bottled water and drink 15 minutes before your lunch and dinner. This profile is owned by Tonita Wright. Send a message to this person to delete this profile. Tonita Wright works at Unicity "Slim"